Darkside 5-K……Prepare for a Geek-Out! 4:30am? Seriously….who’s idea was this? Oh wait, I remember thinking this was a grand idea. It’s not like I haven’t done it before, I did know what was required when I signed up. 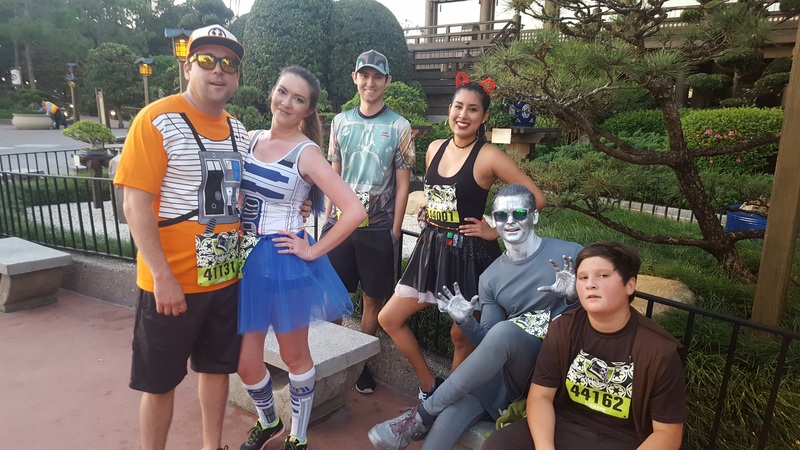 We had such a blast at our last 5k at Disney that we were excited to sign up when the Disney Darkside 5k rolled around. 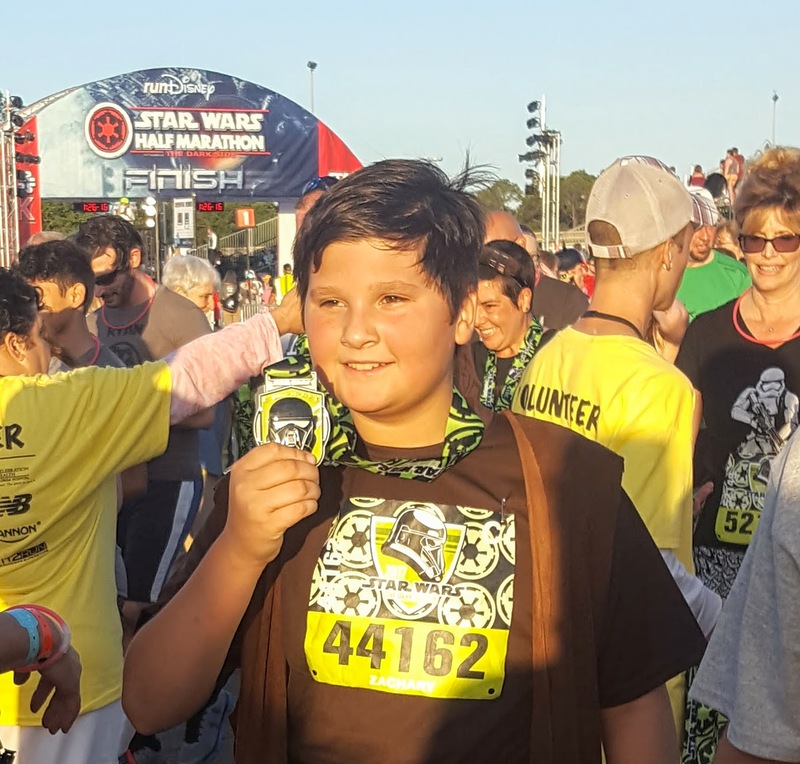 I also thought it would be a great opportunity to introduce Zach to running, as he is a huge Star Wars fan. We always like to have a group costume plan. So our 7 members all choose a Star Wars character. I went with one of my favorites, C3PO. 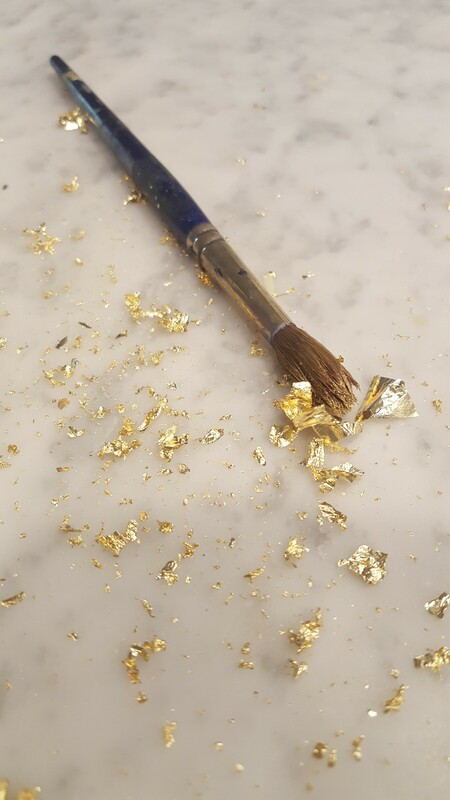 There is just something about being covered in head to toe glittery gold that pulls me back again and again. 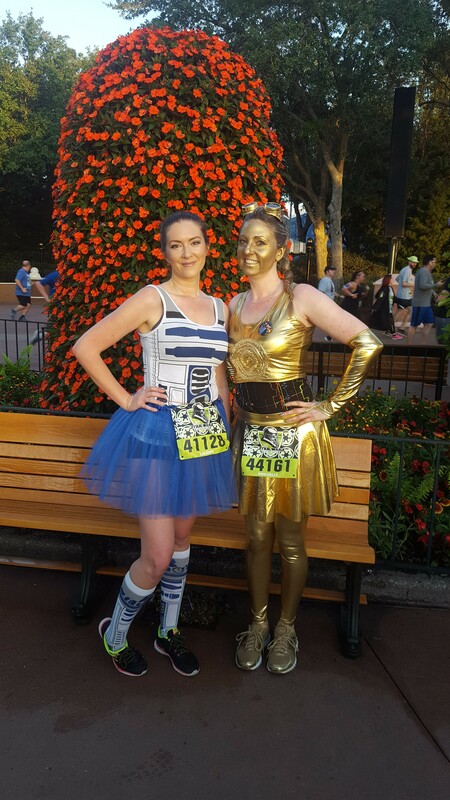 However, as most of my C3PO bounding outfits are not something that lends to running I had to come up with a new costume. 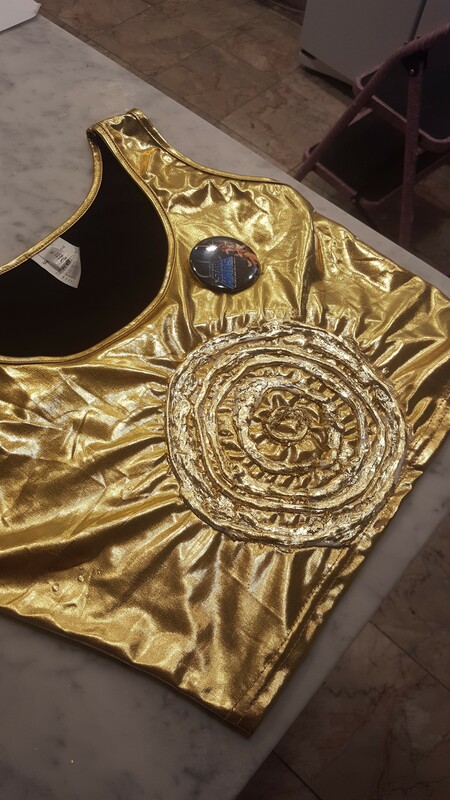 A couple of very inexpensive Amazon Prime purchases, an old black tank top and a tube of silicon caulking, some gold leaf, and a couple of bottles of fabric paint later and I had a costume that I was very happy with. I really loved the extra touch that some battery operated LED strands added as a finishing touch. Zach chooses YODA as his character. He quickly ditched the hat and gloves that kind of made his costume within about 10 minutes. 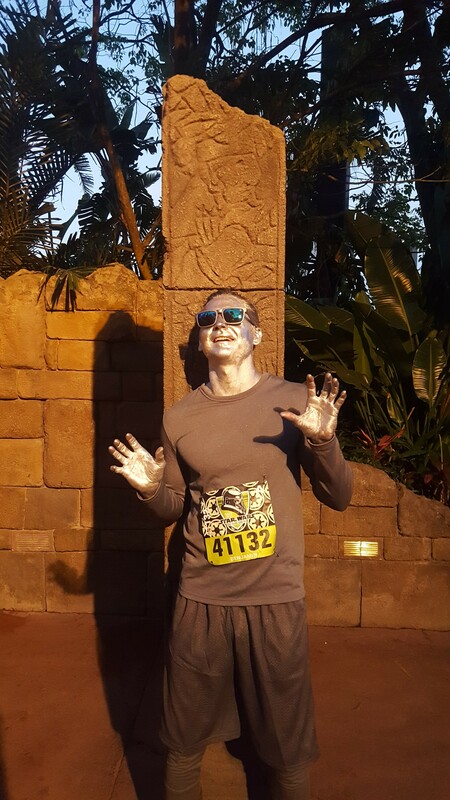 Oh well, I tried…..
Our team also included a Han Solo in Carbonite, Fighter Pilot Luke, Boba Fett, Female Darth Vader, and R2D2. So 4:30 am the day of the race arrives and the alarm goes off. I find myself wondering why I inflict such torture on myself. I’m fighting a cold, and there isn’t going to be enough coffee to get me through this day…. I stand there applying face makeup at the sink alongside my brother (and no, this isn’t the first time 😉 ). 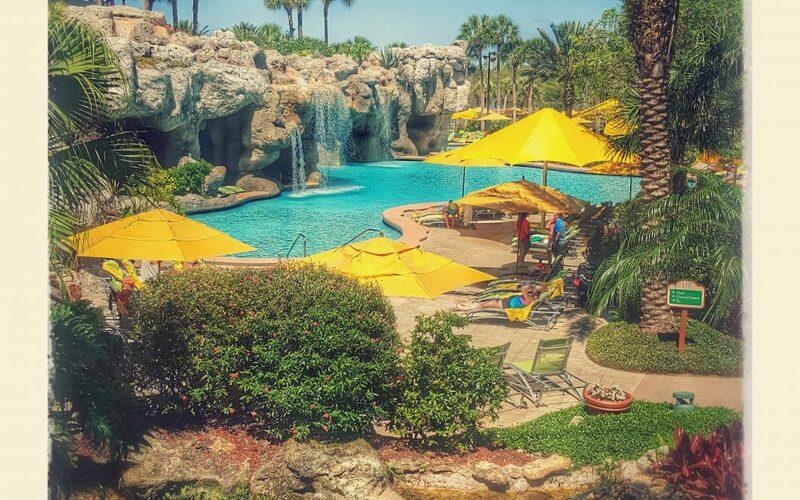 The excitement starts to build. As we pull up to the starting line we are getting worried we won’t make it into the corral in time. 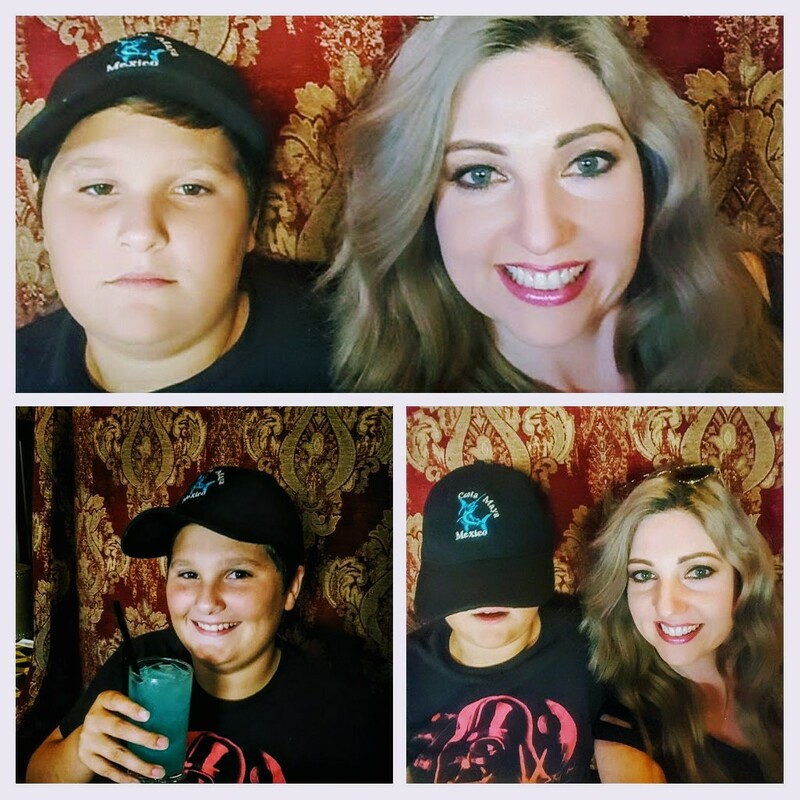 But then the fireworks are going off, and we are running, and Zach ditches his costume accessories, and he keeps going…..we make 1 mile, 2 miles….he keeps going. The sun is rising, we are all smiling (along with some huffing and puffing) and then we are crossing that finish line. Most of our friends and family are still in bed. But this morning, we did something different, something that challenged us and pushed us out of our comfort zone. Seeing my boys smile as he got his very first running medal made it all worth it. ….and when 4:30 am rolls around I’ll find myself wondering again….who’s idea was this?